A visit to the hot tub at your apartments in Mountlake Terrace is about more than just having fun. A dip in this swirling pool of warm, soothing water can actually rejuvenate your mind and body. You can go once a month, weekly or even daily to reap the rewards. When you commit to daily soaks in the hot tub, here are a few benefits you might enjoy. With every minute you spend soaking in the hot tub, you can feel the stress of the day melting away. The hot tub achieves this feat by relieving the tension in your body, allowing your mind to relax at the same time. As stress slips away, you can make better decisions in handling the problems you face to remain stress-free in the long run. The jets' moving the warm water around acts as a massage of sorts to help relieve muscle pain. The pleasant water temperature also helps relieve muscle tension and reduces pain. As the water heats your muscles, more blood flows to those areas, promoting healing and keeping pain levels down for good. Unlike many pain-relief medications, you can use the hot tub on a daily basis without worry about side effects and other complications. With the stress relief and relaxation benefits that come with chilling in the hot tub, you also can enjoy a boost to your sleep quality. You will need to time your visits to the hot tub at your Mountlake Terrace apartments in the evening hours. The later visits can prepare your mind and body for the process of falling asleep. By the time you arrive back at your apartments, you will likely be able to fall asleep quickly and stay asleep all night long. 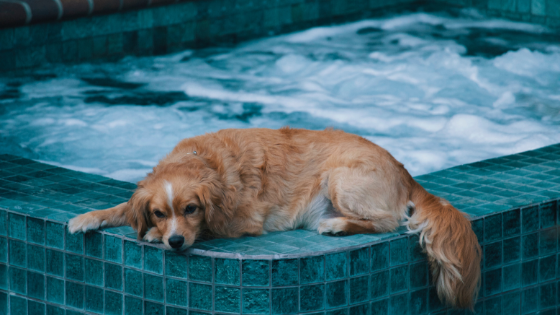 If you cannot easily go for a dip in the hot tub at your apartments, consider finding an upgrade that will best suit your needs. To learn more, simply call (855) 450-2838 and ask our team at Taluswood Apartments about our available floorplans.